Editor's Note: This article was originally published in January 2018, on the eve of the world premiere of Minding the Gap, at the Sundance Film Festival. 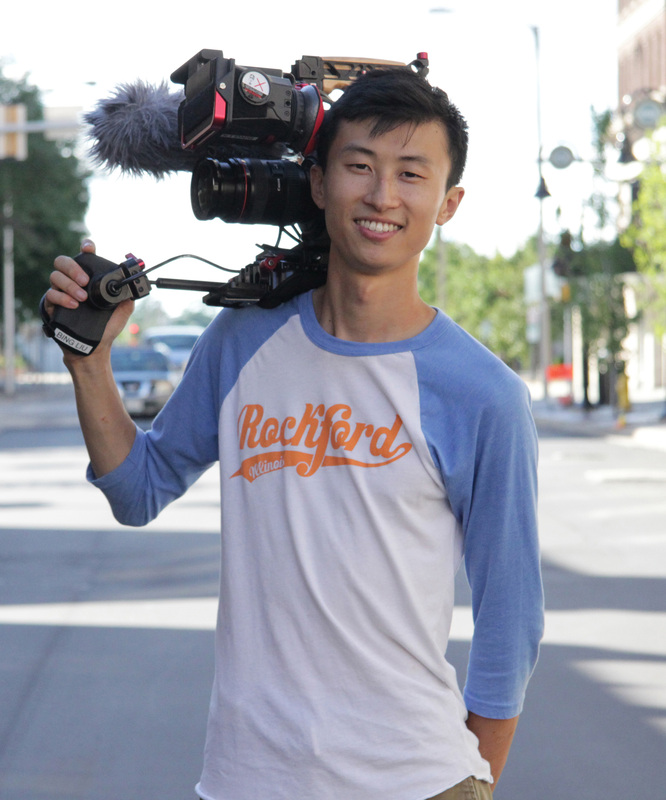 In this edition of "The Feedback," we spotlight director/producer/cinematographer/editor Bing Liu's Minding the Gap, which he presented at DocuClub in October 2016. We caught up with Bing Liu via email in the days preceding his Sundance Film Festival premiere. This interview has been edited for length and clarity. Synopsis (courtesy of Sundance Film Festival program): Bing Liu, 24, returns home to Rockford, Illinois, the heartland of the post-industrial rust belt of America. and reconnects with his friends Zack and Keire, with whom he's been skateboarding since childhood. Archival recordings of their former glory, coupled with current interviews and extraordinary skateboard footage, tell the story of three young men who banded together to escape their volatile families. As they grow up before our eyes, unexpected revelations threaten to crash their decade-long friendship. 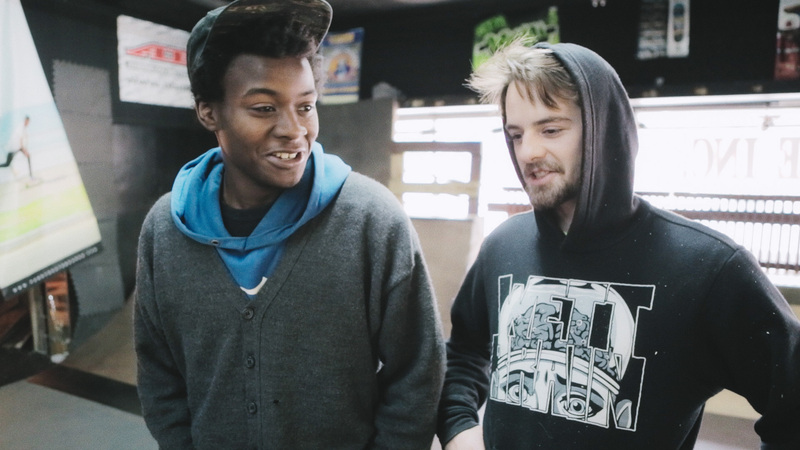 In Minding the Gap, Bing Liu defies so many of the "no-no's" of conventional documentary filmmaking: he's in his own film, he breaks the fourth wall often, and he embraces filmmaking as therapy—yet it all works brilliantly. What emerges is an insider's story that defies the media’s fixation of the skateboarder as mindless slacker and digs into the heart of modern-day masculinity. This provocative film explores the gap between fathers and sons, between discipline and domestic abuse, and ultimately that precarious chasm between childhood and becoming an adult. Zach and Kiere are friends you grew up with and have afforded you the kind of trust and access and intimacy that docmakers crave in making a longitudinal film like yours. There are exchanges in the film in which you discuss the filmmaking process with Zach and Keire. How difficult was it to make that distinction between a relationship defined by friendship and one defined by a filmmaker and his protagonists? I didn't really wrestle with my relationship with Zack and Keire as friends vs. people on the other sides of a storytelling fourth wall until their individual stories became increasingly heavier and more reliant on me as an emotionally safe space. I often felt like I had no volition as a friend. Sometimes I just wanted to put the camera down and skate with them so I could feel the joy they were feeling. Sometimes I wanted to just hug them and tell them I loved them. Even though there were times when filmmaking got in the way of our friendship, I wouldn't say friendship ever got in the way of filmmaking. Actually, I guess it did, but those moments helped make the story more complex and ultimately provided rich soil for when I decided to root myself in the story as a character. Did you always intend to be a protagonist in your film? Talk about the challenges of playing that dual role of directing behind the camera and participating in front of it. I had absolutely no intention of being in my own film until the past year or two. I think it was easier for me to be in the film because, for the most part, my own story unfolds with me hiding behind the camera. It was during the post-production process where my story really came to life. Even then, we knew it wouldn't be one of the central storylines—so we set it aside and got Zack and Keire's stories working first. While we follow Zach's and Keire's (and Zach's former girlfriend Nina's) stories throughout the film, you're an obvious presence as the director/cinematographer, but we don't learn of your story until later in the film. Talk about this choice in the structural process. From a storytelling perspective, the film has so many themes, characters and threads to get up in the air in the first act that we were forced to stagger my story and Nina's story until they entered organically through Zack and Keire's stories. From the first time that I started experimenting with putting myself in the film, my executive producer Gordon Quinn had suggested this strategy, and it ended up making a lot of sense. My editor Josh Altman and I conceptualized my story as a puzzle that the audience had to piece together by noticing the way the cameraperson moved and interacted with the other characters—so that by the time you get to my story you have all the pieces you need to understand why I'm a character entering the film in the first place. It just felt more earned that way. Also, it parallels the process of how, in this meta way, my character as the filmmaker comes to make that decision in the film. Towards the end of the film, Keire notes that the experience of being in the film was "like free therapy." You, in turn note, that "I see myself in your story." How was this filmmaking experience for you, now that you've gone through the production and post-production processes? It was life-changing. I'm still processing the scale of time and experience—like hiking up to the top of a steep trail and then taking stock of the distance travelled and the vastness of the horizon. I spent almost a year going to a therapist for the first time in my life in the final stretch of filming. I'm not sure I would've done that if I hadn't made this film. The best (and most nerve-wracking) part was showing the rough cut to Zack, Keire and Nina. They were all emotional experiences, but each of them appreciated having their story told honestly. I'm just in awe of how much we've all grown up these past few years. With regard to the DocuClub screening, what were your expectations going into that event? As with most screenings back then, I had a knot in my stomach and I expected the worst. My producer Diane Quon had then recently come on board. But I had been cutting on my own in my little creative echo chamber of my bedroom up until then, so I felt very much like a snail crawling out of its shell, hoping I didn't get too many salty comments. Kind of. I had at least two or three feedback screenings at Kartemquin [the co-production partner, with ITVS and POV], which, like DocuClub, sends invites to its network of the local documentary community. In hindsight, I knew I had a lot of emotional and powerful material, but it just wasn't tracking as a story. On a deeper level, I just needed to get out of my own headspace and get the film in front of strangers so I could get perspective. Plus, I had started running out of fresh eyes in Chicago at that point, so it was nice to be able to draw from a new pool of people willing to spend an evening watching a work-in-progress documentary and give feedback. At this point my story wasn't in the film. But after explaining my reasoning for making the film and that I'd known the characters for over a decade and grew up skateboarding with them and experienced similar things that they had, there was a resounding concurrence that I needed to be in the film somehow. Now that the film is finished, I'm glad I listened to those voices! I like to sit in the back of the room and mico-analyze people's body language during feedback screenings. I guess I don't actually like doing that, but it just ends up happening and I can't help it. So when I noticed two teenagers that a partner organization, the Harold Hunter Foundation, invited looking at their phones during the screening, I was dying inside. I didn't get a chance to talk to them after the screening. Since then I've learned to be more holistic about feedback screenings, keeping in mind that the room isn't going to agree on everything. I was still filming at the time and I continued to film for a couple more years. The screening led me to work myself into the story both in the edit and with the way I shot things—I became a more interactive shooter. What were the key factors that determined that your film was ready for your Sundance premiere? I'd like to say it was that everything felt ready, but mostly it was just the fact that we found out we got in and had a deadline to make. If we had ended up premiering at a later festival, I can imagine myself working all the way up until that deadline, tinkering with little things here and there. But I'm genuinely happy with what we accomplished and I'm very excited for this five-year journey to end with a Sundance premiere. Hopefully the knots in my stomach won’t be too bad! Minding the Gap premieres January 21 at the Sundance Film Festival.